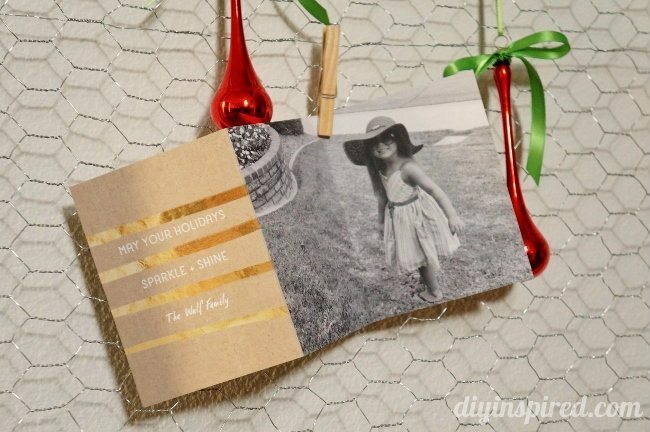 This article, DIY Christmas Card Display, is sponsored by Pear Tree Greetings. All opinions are 100% my own. Lucky for me, this year I was able to design my custom Christmas cards with Pear Tree Greetings. There were SO many choices for holiday photo cards I couldn’t decide. 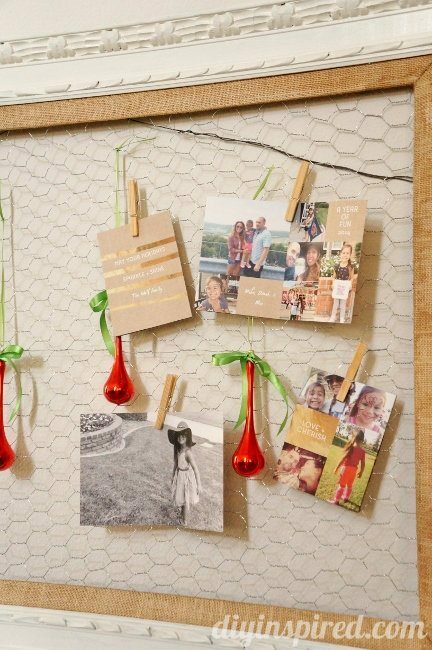 Their personalization process made it so easy though to save the photos I wanted to use so that I could come back to them later. 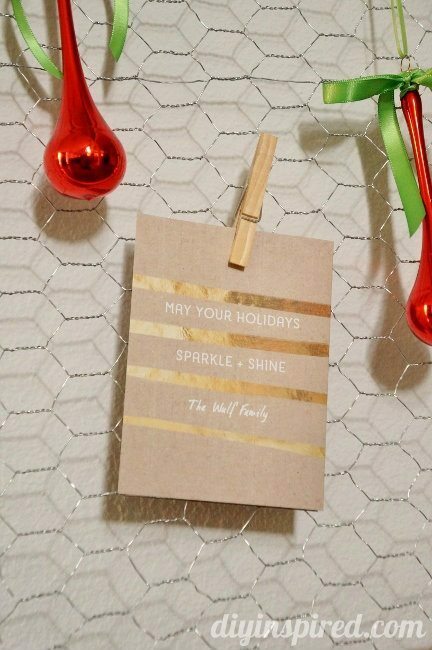 I FINALLY decided on the Golden Greeting Trifold Christmas Cards. I love them because they are made from 100% recycled matte card stock. Then, I started to think about all the lovely cards that my friends and family will be sending me. I have never had a nice photo display so I decided to make one. 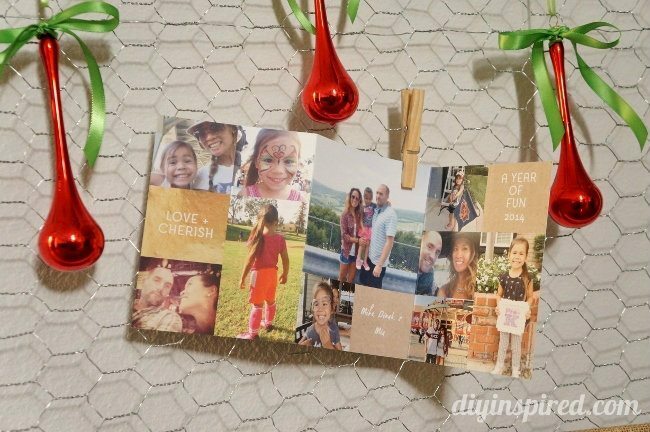 Here is how I made my DIY Christmas Card Display. 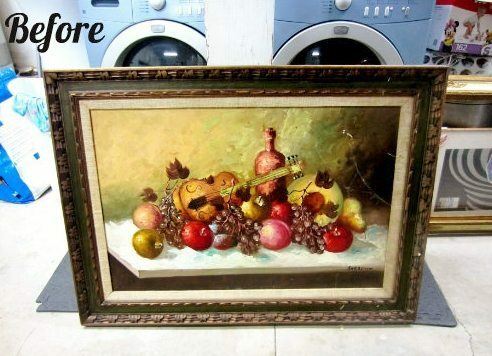 Can you believe I found this painting for free in the trash? Yep… I took it and was REALLY excited about it. 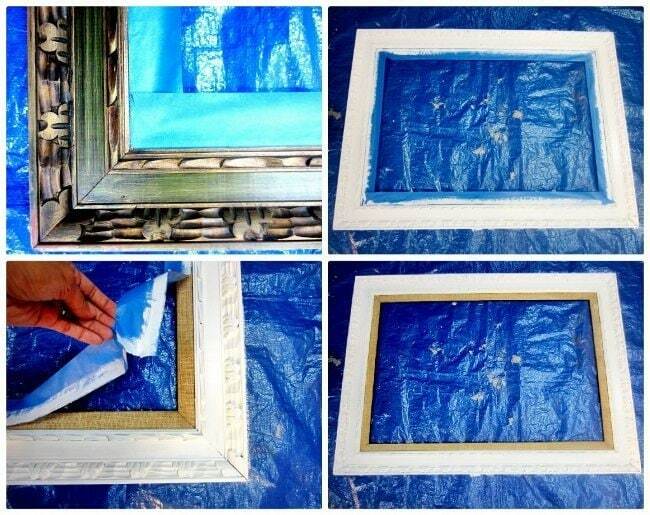 Because I am upcycling an existing painting, I had a couple extra steps. 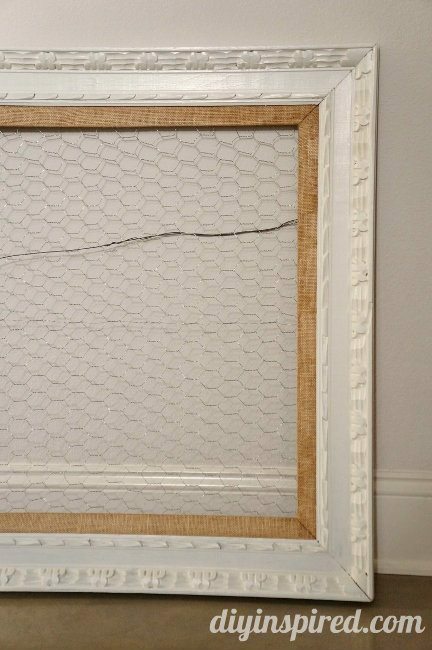 You can see here, I had to disassemble the painting and remove some nails. 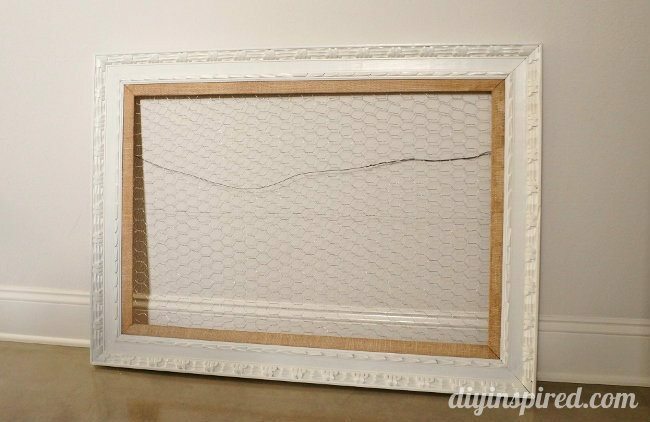 I also decided to paint the frame white. 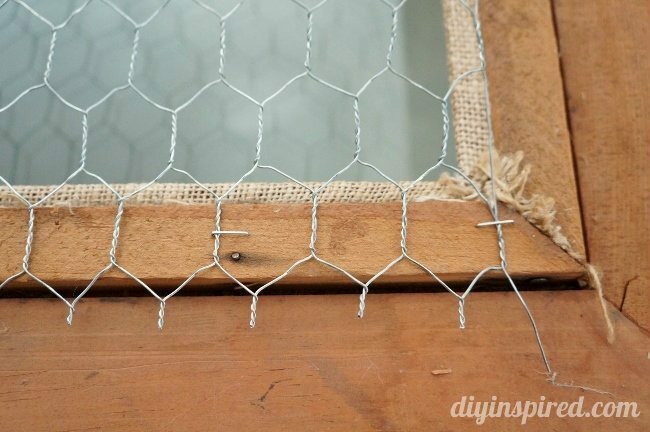 So, I taped off the burlap trim and primed and painted the frame. 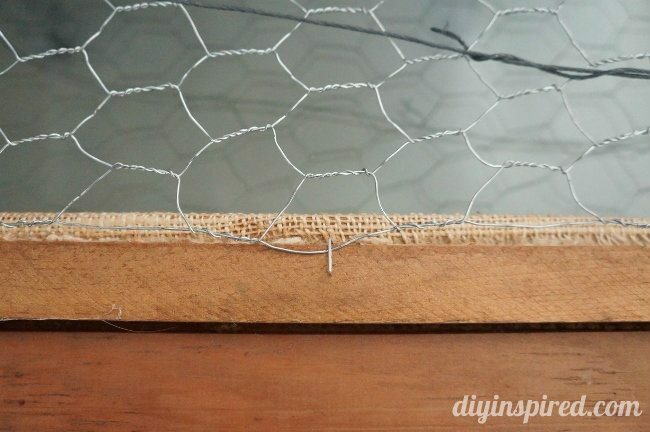 Next, I measured and cut the poultry netting to fit inside the frame. Be sure to staple down all four sides. Here is what it looks like with the netting. 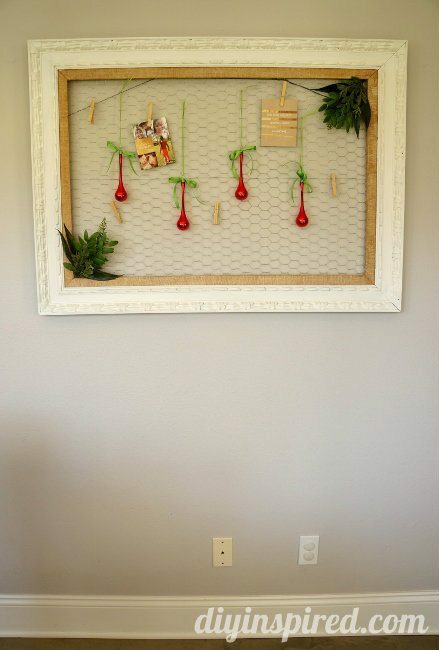 You can leave it like this and use it as an organization board in an office or craft room as well. But, since I’m using this for Christmas cards, I added some ornaments and ribbon. Here are some close ups of the cards I ordered from Pear Tree Greetings. This is the front. When you unfold it, this is the front of the card. I absolutely love them and I’m sure my friends and family will love them too. Thank you so much to Pear Tree Greetings for sponsoring this post! In case you missed it, check out the wall decals I got from them to make some DIY Wall Art for my daughter’s play area! This looks so cute. 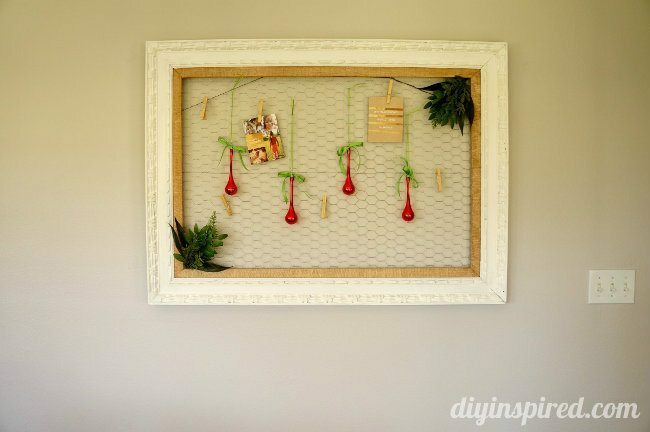 I love repurposed frames. That’s a good idea. The wire bugged me too. I figured I’d cover it with cards! 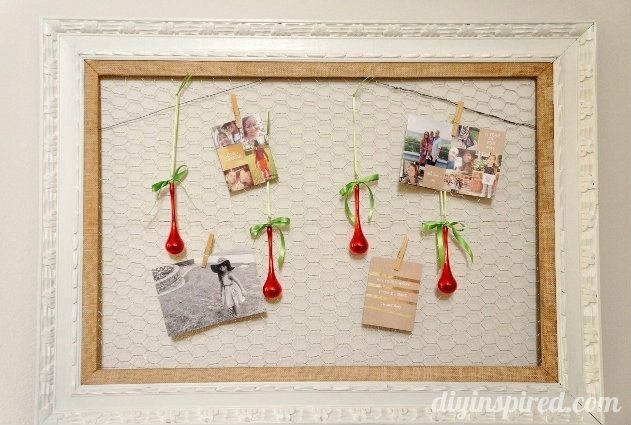 Like the idea of using the mini clothespins instead too! I love this because it can be adapted for use all year long. 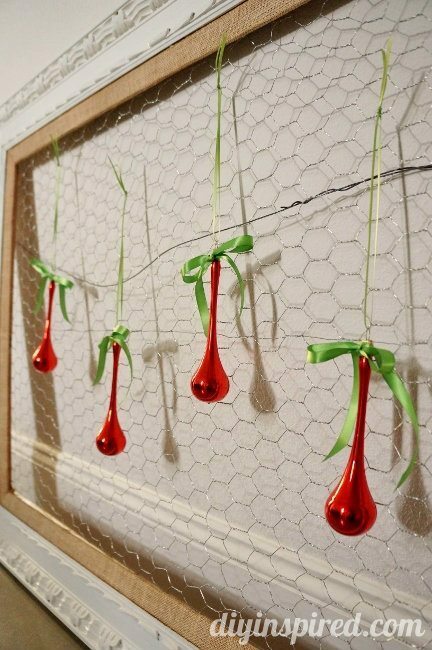 Different holidays, a place to hang kitchen utensils, jewelry, craft items, oh my gosh, the list goes on! Great project! Yes! I’m hoping to leave it up for a while too. It’s a great organization board for my kitchen. Can’t wait to make mine!! You are going to love it and use it all year long!